We present an experiment on crystallization of packings of macroscopic granular spheres. This system is often considered to be a model for thermally driven atomic or colloidal systems. Cyclically shearing a packing of frictional spheres, we observe a first order phase transition from a disordered to an ordered state. 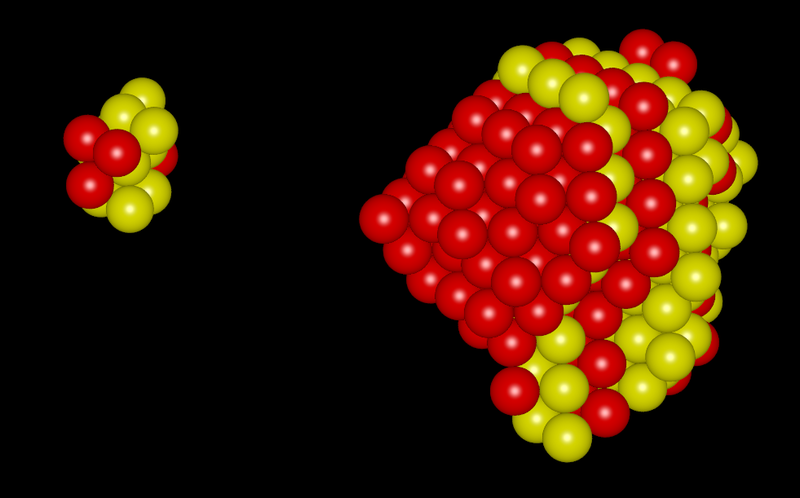 The ordered state consists of crystallites of mixed FCC and HCP symmetry that coexist with the amorphous bulk. The transition, initiated by homogeneous nucleation, overcomes a barrier at 64.5% volume fraction. Nucleation consists predominantly of the dissolving of small nuclei and the growth of nuclei that have reached a critical size of about ten spheres.